I get asked what I use in my hair a lot. The truth is for the most part I don’t always use the same things. I’m always switching it up. So this post is about what my flavor of the current moment is. After getting my hair cut and dyed (I haven’t had a trim in about a year, shame on me), the stylist used some products that left my hair feeling really soft and looking very healthy. I had to know what she used so that I could go purchase it myself. For shampoo and conditioning she used Joico Color Endurance which is to help me maintain my hair color and it doesn’t hurt that it is also sulfate free. For styling my hair I like to use serums because they are lightweight. I’m using the Silky Smooth Moisture Serum by the S Factor which she also recommended. For 2nd and 3rd day hair I use the Curl Enhancing Smoothie by Shea Moisture to maintain moisture. 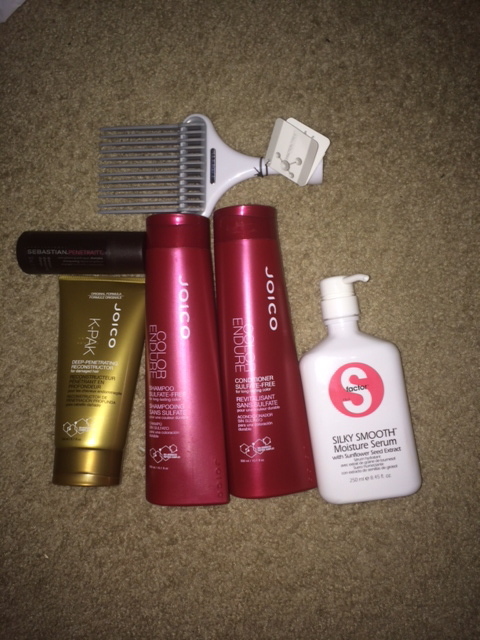 I’m also going to start deep conditioning my hair once a month(I used to but I fell off) and decided to stick with the Joico brand since my hair seems to like it. I chose the Joico K-Pak Deep Penetrating Reconstructor which I have yet to try so I will have to get back to you on whether my hair likes it or not. I also bought a sturdy pick so for days when my hair is flat I can pump up the volume. I bought all these products at Cosmo Prof which you need a professional license or must be a beauty school student in order to purchase there. When I bought this stuff they gave me a sample of Sebastian Penetrait shampoo which I have yet to try. So that’s basically it! 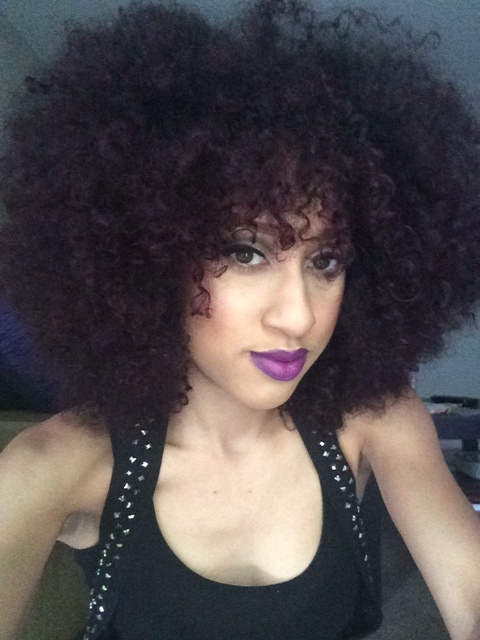 What are you loving for your hair? Tags: joico, kpack, shea moisture, tigi. Bookmark the permalink.